There’s no better way to work up an appetite than a good walk or bike ride! 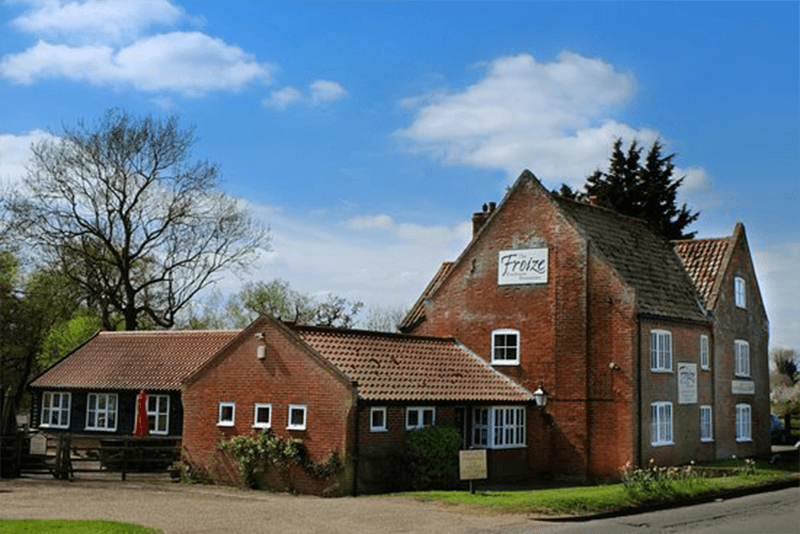 Here is our list of 4 fantastic places to eat that are just 3 miles walk from Mollett’s Farm – and 2 that are worth going the extra distance! Here in our beautiful part of coastal Suffolk, we are surrounded by wonderful places to eat or enjoy a drink and relax. In fact, if you hop into your car, there are so many incredible places we would wholeheartedly recommend that are just 20 minutes’ drive from your doorstep here at our luxury accommodation. The problem, however, is sometimes it’s just such a beautiful day that it seems a shame to hop in the car and waste the brilliant blue skies or crisp winter morning. You want to feel the wind through your hair, the sun on your face or hear the crunch of sticks under your feet. 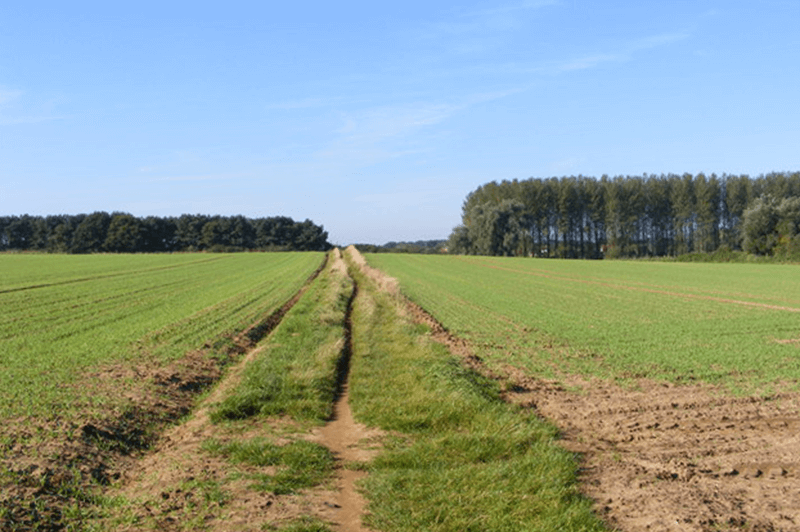 That’s why we have come up with a list of six fantastic places within walking or cycling distance from Mollett’s Farm where you can relax, enjoy a refreshing drink and fill your belly. The best part is there’s no need for your car keys or a designated driver. So, grab your walking gear or your cycling kit and fill up your flask with your favourite hot drink from our fully stocked kitchen; it’s time for some fresh air. 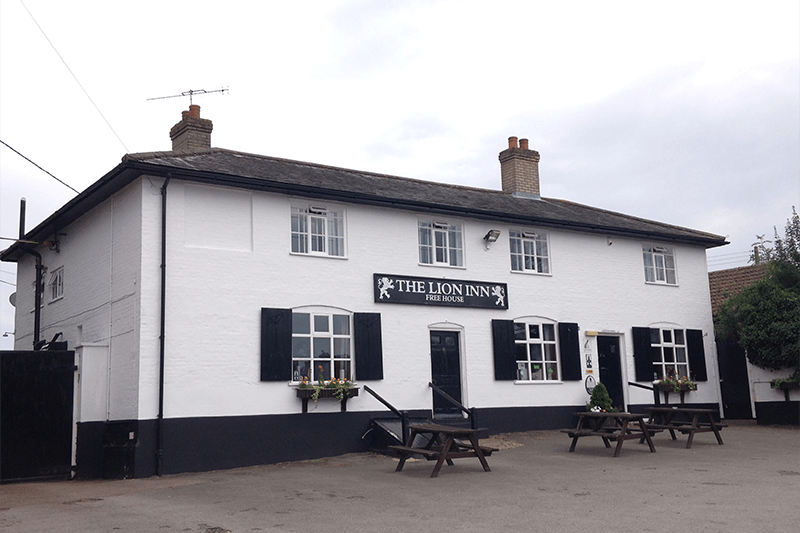 The first on our list and the shortest walk to your destination is The Lion Inn. This traditionally decorated and cosy pub produces hearty home-made food with a focus on local produce. The Lion Inn is the perfect place to stop and rehydrate too, with a well-stocked bar and its selection of locally brewed ales. Expect a warm welcome from Avril and her team when you arrive at The Lion Inn, and to leave with a full tummy and a happy face! The Crown Inn is just bursting with cosiness. 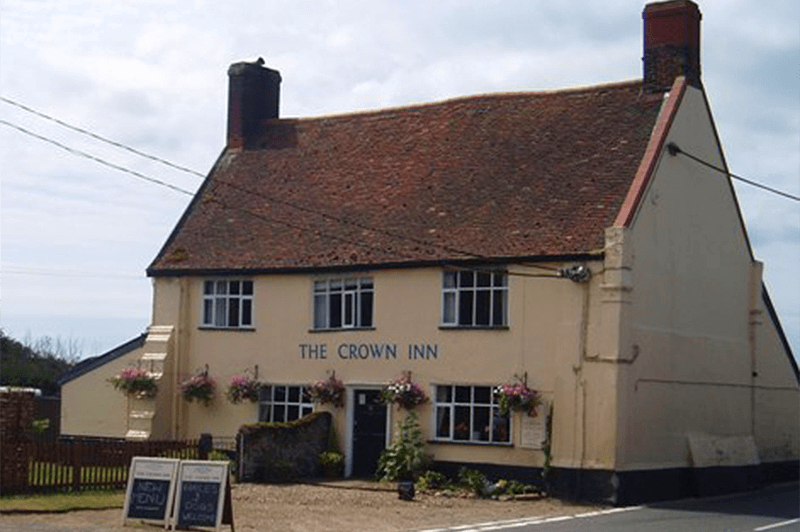 After a crisp winter walk The Crown is a fantastic place to warm your bones because this wonderful 18th Century pub has not one, but four open fires! Richard and Cheryl will make you feel right at home. Add in their comfy coffee lounge area, mouth-watering menu and cloyingly sweet home-made cakes and you have a recipe for the perfect walking destination. Remember our post about the Adnams Brewery? 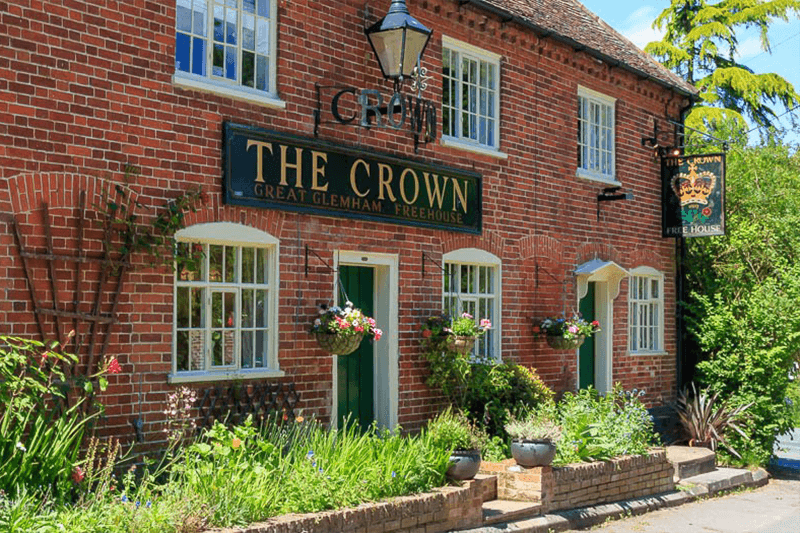 The Crown Inn is an Adnams owned pub, which means they have a brilliant selection of tasty ales and spirits to whet your whistle. Don’t think that’s all that the landlords Gary and Teresa provide though. This 15th Century smugglers inn places a direct focus on local produce – with nearly all of the meat on their menu being reared by The Crown themselves (Teresa often being seen collecting prizes at the annual Suffolk Show); vegetables come from their own allotment; and the fish from Orford fishermen. It doesn’t get much fresher than that! The Golden Key is just overflowing with original character. This beautifully decorated 17th Century cottage-style pub features original oak beams, open fireplaces and cosy sofas, alongside a seasonal menu packed full of classic pub dishes with modern flavours. 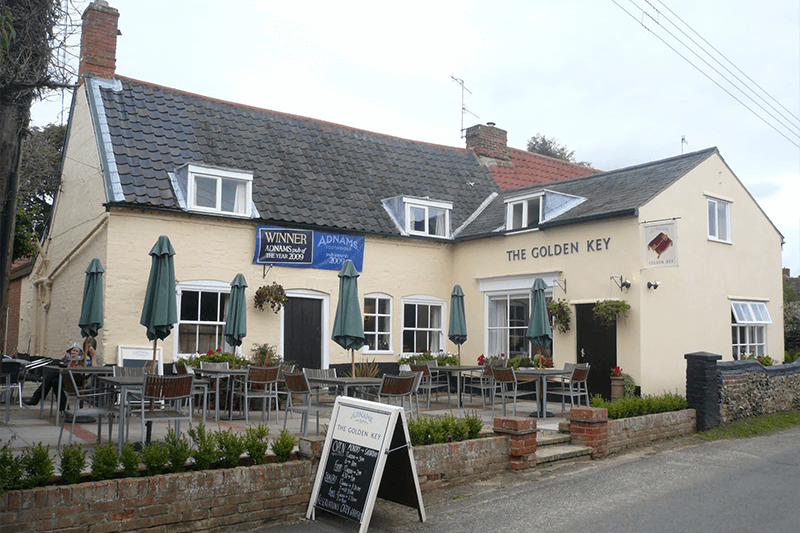 The Golden Key offers a delicious range of Adnams wines, and make sure not to miss their famous Fish ‘n’ Chip Friday. What a delicious way to re-energise before your return journey. A longer distance but the reward is worth it! For those of you with a more adventurous nature or strong legs! 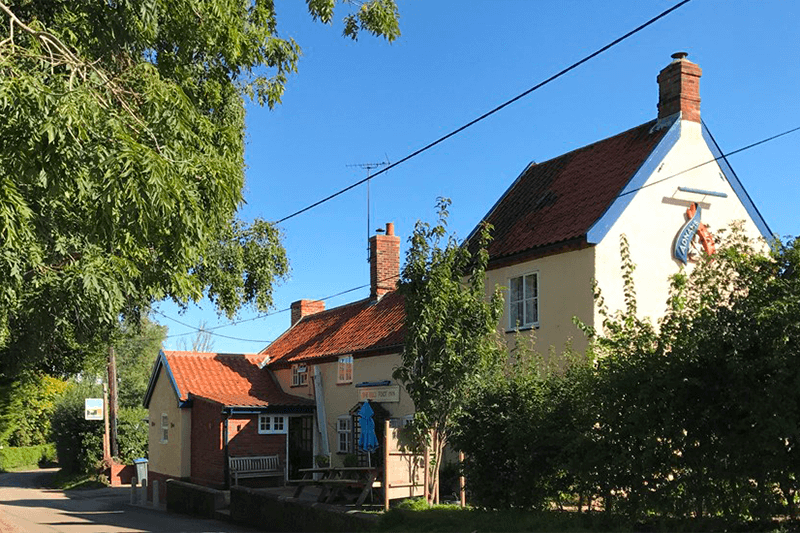 The intriguingly named Eels Foot is a beautiful village inn located right next to the nature-laden RSPB Minsmere reserve. This friendly-faced traditional pub boasts a huge menu jam-packed with hearty offerings and an extensive range of local ales, wines and spirits. Their extensive beer garden and covered patio is a delight for bird watchers and even hides a secret: The Eels Foot’s very own wood-fired pizza oven. Who doesn’t love fresh cooked Italian pizza! Nobody serves food quite like David at The Froize, in the pretty village of Chillesford. From handmade pies to the juiciest local roasts, this is buffet food with a twist. There’s a range of delicious local dishes to choose from and you will truly be spoilt for choice. You might need to book a taxi for this one, as you’ll likely be full to the brim on your return journey. Who needs B&B? With so many lovely venues to enjoy food or drink so near to our self-catering holiday accommodation, we’re sure you’ll be itching to book your next visit before you’ve even signed our guest book. We offer a great range of accommodation choices – and are family-friendly, dog-friendly and wheelchair-friendly. Each of our Granary Cottages and Stable Studios is fully self-contained, with accessible kitchen areas and wet-rooms available in the latter – meaning you are able to come and experience the very best in hospitality and luxury accommodation, whatever your needs. We also welcome group bookings. What to find out more about our beautiful part of East Anglia and the Suffolk Heritage Coast? Make sure to check out the rest of our blog!